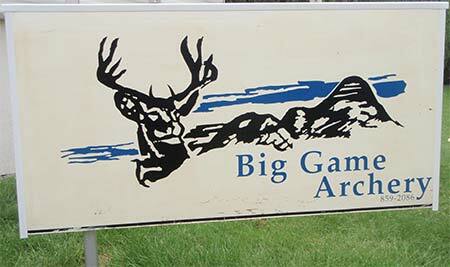 Established in 1989 Big Game Archery is the best archery dealer to visit in the Fraser Valley. Wayne and Wendy Meyers, both accomplished archers in target and hunting, have many years' experience to back them up when giving advice. Visit the shop in person at 2044 Filuk Place, Abbotsford BC V2S 5P2 or give Wayne a call and find out about the shop and its services. Shop hours: Wednesday and Saturday 10:00am – 5:00pm and Thursday and Friday 12:00 noon till 9:00pm. 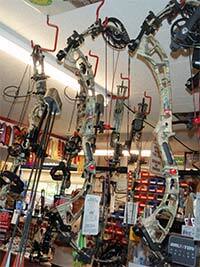 Big Game Archery offers a good assortment of equipment and accessories. 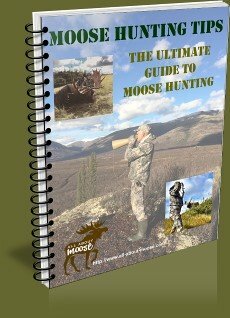 I have purchased most of my archery gear for moose hunting (and deer hunting) from Wayne, and I can vouch for the fact he will give you good advice, service and value. Wayne is a hunter and he always has his shop television showing some sort of hunting show. Always willing to take a moment away from work to talk hunting, Wayne has lots of great stories to share. 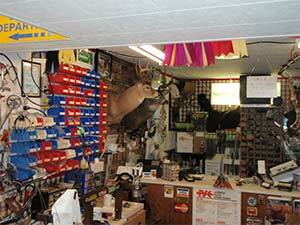 Big Game Archery is, as the name suggests your archery supply network for hunting big game. Wayne has taken many trophy class animals with his bows and can therefore offer advice to both the novice and seasoned archer. This year Wayne took a tremendous bull elk with his bow and shared the story of how he got his biggest elk yet! In this picture you see a few of the PSE bows that Wayne has to offer. I have found him easy to deal with and able to discuss the pro and cons of various accessory selections. Wayne, because of his many years in this industry will guide you through gear choices so you end up with the bow package that is just right for you. PSE, Sitka, Muzzy, Slick-Trick, Victory Archery Products and True-Glo are just a few of the many manufactures that the shop represents. Call or drop in and see what they have in stock. They will install all accessories sold as well. 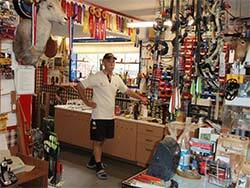 Below: Wayne stands in his shop, with many ribbons to show for his archery prowess. I apologize for cutting of the Dall Sheep. 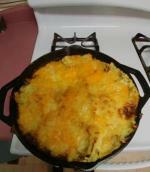 I will try to get another picture and remedy this. A beautiful Ram. There is a great story behind this too! While field dressing his son's ram they heard rocks tumbling behind them. Turning around to see a Ram within archery range. Wayne was able to harvest his ram too. If your bow is in need of a tune, Big Game Archery is the place to go. 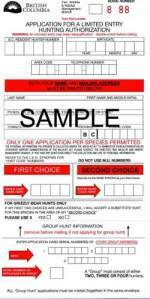 Do not wait until too close to hunting season, as the shop gets very busy and you may have to wait... longer than you want. Also, because Wayne is a hunter, this is the time when he closes up the service end and heads out in the field himself. You can always buy accessories during this time but you won’t get service done. 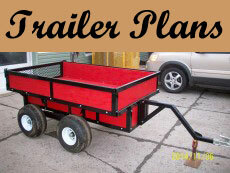 Plan ahead... well before hunting season. Besides, you should be practicing not thinking about changes close to the season. 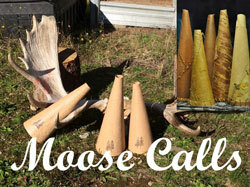 If you contact Big Game Archery, be sure and let them know that All-About-Moose sent you.